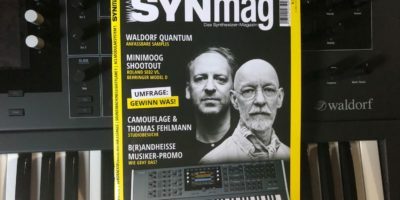 SynMag ist auf der Superbooth, Berlin – Stand O374, Foto-Berichte. 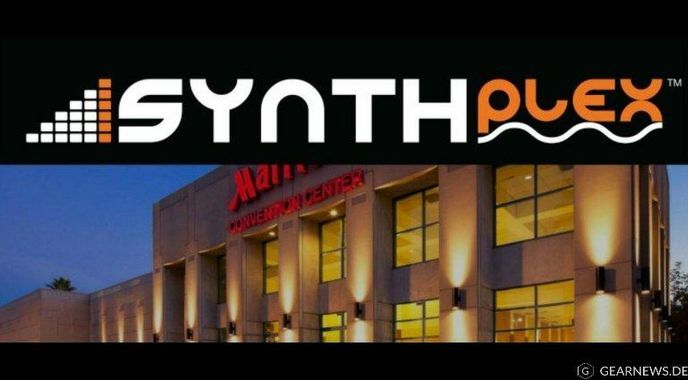 Da der Event in den USA, Kalifornien statt findet, zeigen wir den Original-Text..
Burbank, CA – March 12, 2019 -The first annual Synthplex(tm) Electronic Music Festival and Gear Expo will take place on March 28-31 at the Los Angeles Marriott Burbank Airport Hotel & Convention Center in Burbank, CA. 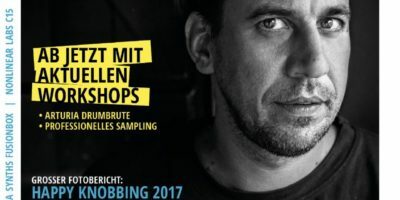 This new festival celebrates „All Things Synthesizer“ and features a trade show boasting a full range of synthesizer gear, pedals, microphones, amps, and related accessories. The event also offers Educational & Technology based Seminars; Master Q&A Sessions with industry icons; DIY Synthesizer Build Workshops, and Live electronic music performances every night. A hands-on ‚Pop-Up Synth Museum‘ allows event attendees to view and even play a collection of extremely rare instruments. The Saturday night Gala Dinner Banquet features legendary artist Thomas Dolby performing for an intimate audience limited to just 300 people. There will also be a Synthplex ‚Golden Ear Award‘ presented for lifetime achievement in all-things-electronic music. The four-day show will be held at the Marriott Burbank Hotel & Convention Center, 2500 N Hollywood Way, Burbank, CA 91505. Tickets are available online with various options from a one-day $50 pass to a $99 All-Access pass, and more (https://synthplex.com). Every night Synthplex features live artists performing synthesizer-centric music in a wide array of genres on two different stages-in quadraphonic sound. Solo performers will utilize Eurorack synthesizers through large 5U modular synthesizers. Synthplex has the very special, first ever, duo performance from movie scoring legendMark Isham and Vinnie Colaiuta, the legendary drummer for Frank Zappa, Jeff Beck, Joni Mitchell, Herbie Hancock, Chick Corea, and Sting among many others. Isham & Colaiuta will perform as a dynamic duo on Saturday evening as a headliner. BT (Fast & Furious, Laura Croft: Tomb Raider, David Bowie) will also perform, along with Robot Nature, Fartbarf, Kitty Spit, Duque & DiPrima, Lucky and Love, JVMIE, Reinhold Heil & Michael Levine, Henry Diltz, Duque DiPrima, Lisa Bella Donna, Sarah Belle Reid, Roel Reine, Jack Hertz, Kurt Kurasaki, POB, Collin Russell, The Unique Molecule, KRAN, Eightch, MadDaddies, Forward, SYMBION PROJECT, The Volt Per Octaves, Dudadius, Breath of Life Worship Singers, Doug Lynner, Sinedrifter, Faraday Cage, Jesse Nason, Qrux, Rychard Cooper, Som Shankar, univac, Nasty Nachos, Kazike, Gert Jalass, Yumi Iwaki, Pablo Perez, Surfin Kangaroo Studio, James Bernard (featuring Cynthia from Awakened Souls), Jörg Schaaf, Galecstasy, SHIRO, and Keytar Jeff(https://www.synthplex.com/artists-list.php). Each day from noon to 5 pm, Dublab Radio will broadcast live from the Synthplex Quad Concert. Dublab will be conducting interviews with Synthplex speakers and artists, and Dublab local DJ crews will be spinning synth-based electronic music out onto the internet. Exhibitors include: 343 Labs, 1010music LLC, Analog Cases, Analogue Haven, Applied Acoustics Systems, Arturia, Aspen & Associates, Audio Damage, Avid, Best Service GmbH, Bjooks, Black Market Modular, BOSS, Buchla USA, Cherry Audio, CHRT Synthesizer, Critter & Guitari, Delptronics, Deskew Technologies LLC (Gig Performer), Dreadbox, Earth Quaker Devices, elektron music machines inc., EMEAPP (Electronic Music Education & Preservation Project), Empress Effects, Eventide Inc., Expressive E, Five 12, Inc., The Freddy LLC, Gig Performer, Hexinverter Électronique, IK Multimedia, Industrial Music Electronics, intellijel, Kali Audio, Keith McMillen Instruments (KMI), Korg USA, KRK Systems, MAGIX Computer Products Int. Corp., Metalphoto of Cincinnati (MPC), Moon Modular, Mordax Systems, MusicLab, Mystic Circuits, Night Sky Sound, Noisebug, Noise Engineering, Novation, Percussa, Perfect Circuit Audio, Polyend, Quilter Laboratories, LLC, Roger Linn Design, Roland, Rosen Sound, Rossum Electro-Music, Sequential, Sensel, The Society of Composers & Lyricists, Sound on Sound Magazine, Spectrasonics, Steady State Fate, Strymon, Submodular Systems, Tangio Printed Electronics, Tom Hilbe Equipment Co. (T.H.E Company), TORAIZ, Waldorf, ,Walkabout Carriers, Westlake Pro, WM Devices, Yamaha, Zlob Modular, and ZVEX Modular (https://www.synthplex.com/atoz-list.php). Synthplex(tm) LLC is owned & operated by entrepreneurs and synth enthusiasts; Michael Learmouth andMichael Lehmann Boddicker. Both Michael’s are life-long electronic music and synthesizer fanatics. Michael Lehmann Boddicker is a legendary Grammy award-winning synthesist, producer, songwriter and studio owner. Michael Learmouth is a life-long electronic musician and producer who uses both vintage and modern synths on his various music projects. The launch of Synthplex is a culmination of years of careful planning and consulting with industry friends. The two Michael’s are 100-percent committed to bringing forward the finest synthesizer convention and festival to Los Angeles/Burbank.